Earthbag Construction: One of the most practical structures is a multi-purpose structure that can serve as emergency shelters, temporary or permanent housing, root cellars or any conceivable structure. 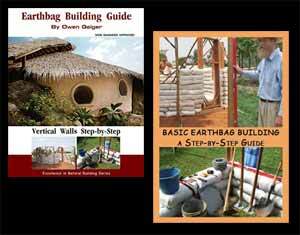 “Earthbag Building Guide” book and DVD by Dr. Owen Geiger included. 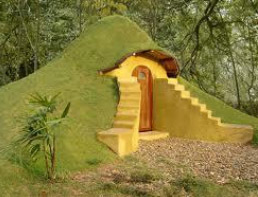 We are also lplanning an Earthbag cabin in Missouri next year. Curious if anyone has any advice on where to source bulk Scoria, pumice, perlite, vermiculite or rice hulls?? It gets cold here. We are in the upper half, very near Iowa. And not far from Illinois. Kyle, you might check with local landscape supply companies or Redi-mix concrete companies for these materials. Rice hulls can often be found in places where rice is harvested and processed, mostly in the south. There are numerous websites that promote natural building workshops. Post your announcement on as many as possible. Plan 6-9 months in advance so people have time to prepare. Plan the workshop so it’s convenient for as many people as possible (summer and during student breaks). Keep the cost low so people can afford it! Study other groups who provide workshops to see what they do. Helloo there! This article could not be written any better! Please post further information and details or contact information as we are in MO and certainly interested! Thank you. I suggest contacting them directly.